The days of broadcast hosts having to fiddle with two parallel systems – one for the mic and one for in-ear communication – are over. d:fine™ Slim In-Ear Broadcast Headset Microphone, Omnidirectional offers natural sound reproduction, crystal-clear in-ear communication, great fit and convenience – all in one headset. Staying true to the DPA legacy, the d:fine™ Slim In-Ear Broadcast Headset Microphone, Omnidirectional offers accurate, natural voice intelligibility along with its very high SPL capabilities. You can both speak and sing into the mic with no hint of distortion. With low noise and high sensitivity, the d:fine™ Slim In-Ear Broadcast Headset Microphone, Omnidirectional delivers the clearest, most transparent sound available on the headset market. 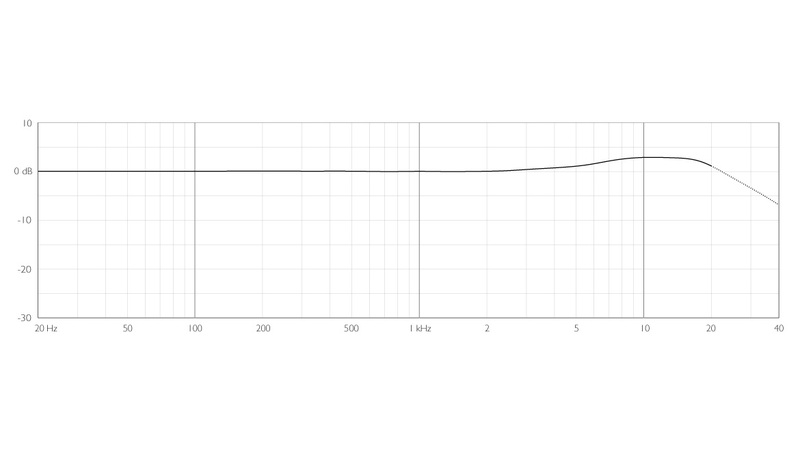 This condenser mic handles up to 144 dB peak before clipping. Due to the mic’s exquisite linear response, low distortion and broad dynamic range, it sounds great no matter what the application. 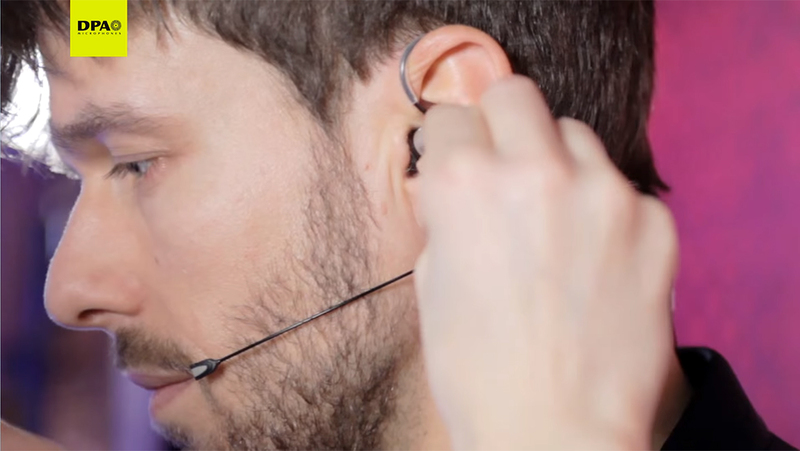 The d:fine™ Slim In-Ear Broadcast Headset Microphone, Omnidirectional is sensitive to sound from all directions making the positioning of the headset less critical and can be done by untrained personnel. It is truly a plug-and-play solution for any situation. The microphone boom is available in two lengths. As with other omnidirectional mics, the d:fine™ Slim In-Ear Broadcast Headset Microphone, Omnidirectional is generally not sensitive to wind, breathing or handling noise. Nevertheless, intensive protection against pop and wind noise is integrated in the microphone design. Windscreens, a capsule protection cap, a cable clip (to anchor the cable to your clothing) and a color-coded cable clip (offering easy recognition of a specific headset among many) are included. Already the worldwide leader in headset mics for theater and broadcast applications, the d:fine™ In-Ear Broadcast Series now adds an integrated in-ear monitor to create a broadcast and communication headset with outstanding acoustic performance and feather-light comfort. The in-ear drivers allow no audio leakage to the microphone capsule. They are easily driven due to their high sensitivity. Two sizes of ear-pads are included to fit most ears. The cable steer, located at the headset mount, controls the cable run down the neck. You can easily adjust the headset mount size. These innovative headsets – the first of their kind – are designed for broadcast professionals who insist on superior voice reproduction without compromising on simple setup, minimalistic form factor and daylong comfort. Single-Ear Mount, Single In-Ear: Easiest to fit. Leaves the smallest visual footprint. Dual-Ear Mount, Single In-Ear: Even better mount stability. You can keep one ear open to what’s happening around you. Dual-Ear Mount, Dual In-Ear: Allows for two-channel monitoring from producers or for stage monitoring. A great choice for theatre actors and singers. *Individual microphone booms and cables are available for the d:fine™ In-Ear Broadcast Series. The modular nature of the mics let you easily choose the best mic/headset combination for your specific needs. Contact your local distributor for other variations and other colors.